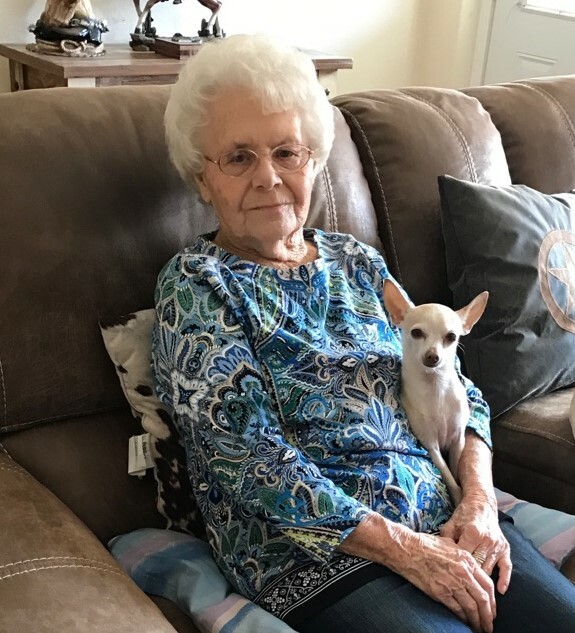 SANTA FE – Mrs. Betty June West passed from this life Friday morning, August 31, 2018, in Texas City. Betty was born a true gypsy at heart in Topeka, Kansas on July 9, 1935. She was the proud owner of a Houston flea market in the 1970’s and could always find the best bargains. Her free spirit took her traveling to places all around the U.S. whether it was to explore, hunt or saltwater fish. She was small, but she was tough. Betty always told you how she felt, even if you didn’t like it and she wouldn’t take any lip from anybody. Although she could get down and dirty, she always made sure to dress nice and have her make up on. Betty was a one of a kind woman who left a touch of gypsy in those who were lucky enough to have know her. She was preceded in death by her parents, Hairam and Wilma (Blythe) Baker; husband, Paw Pete West; brother, Bobby Baker. Survivors include her sons, Tuffy Hudson and wife, Vonnie of Ingleside, Texas, Mike Hudson and wife, Kay of New Castle, Indiana, Carl Hudson of Santa Fe; daughter, Glenda Millsaps and husband, Sam of Santa Fe; brother, Tommy Baker and wife, Judy; grandchildren, Tuffy Hudson, Jr., and wife, Rachel, Dee Dee Taylor and husband, Mark, Katie Lee, C. J. Hudson, Jr., Hailey Hudson, Tammy Millsaps and husband, Gary, Samuel “Bubba” Millsaps II and wife, Amanda; 7 great-grandchildren; beloved dog, Charlie; numerous nieces and nephews.